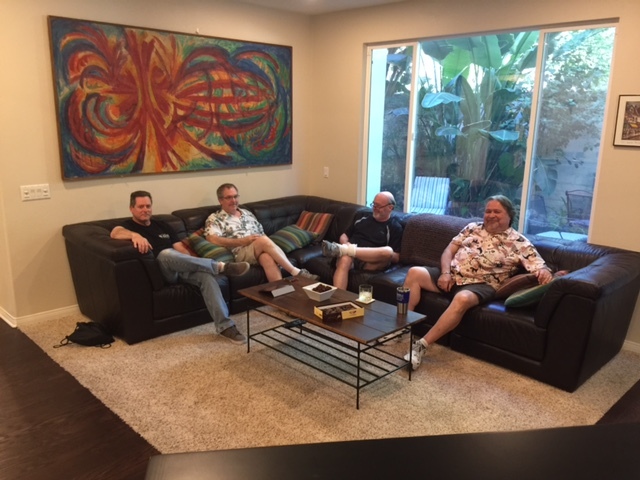 Russ, Stratton, Steve Lefkowicz, Andy Mawhinney, Art Acosta listening to project hulks in my living room. The sound was fast and open. Everything youd want in horns. The bass was more similar to Khorns and cornwalls, likely due to the low crossover point.